To Get Involved...Visit One of Our Meetings!!!!! We are honored that you are interested in WAGS. To begin with our organization, you should attend one of our next meetings found in the Events menu selection. You can find the map for the monthly meeting location here. Upon arrival, you will be welcomed as a first time guest! As you meet WAGS members, you may have questions about the process of becoming a member. You may also want to know the expectations of our membership volunteers. You can find some answers on our FAQs page. WAGS is a totally volunteer organization with members that want to help you every step of the way. If you have a question or need assistance that you don’t find here or elsewhere on our website, please feel free to contact us on the menu bar or ask at a meeting. Plan to attend an hour long orientation after the meeting. 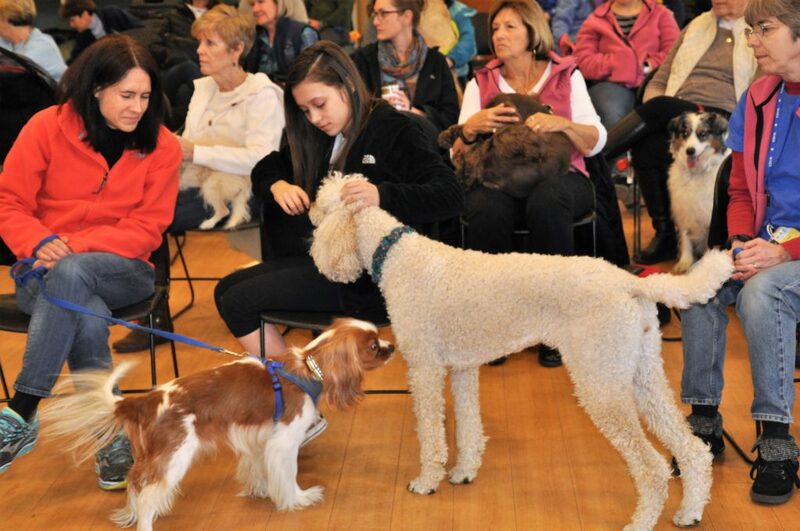 We look forward to meeting you at a WAGS event soon! Due to time and space restrictions, please leave your pet at home when attending your first meeting.